The executive board is excited to announce that we now have office hours! Our office is located in Weiss Hall Room 224. This is a great time for you to come to us any questions about PRowl, PRowl executive board, internships, resume help or basically anything. This is also open to to anyone in SMC and PRSSA too, so if you have classmates or friends with questions, send them our way. 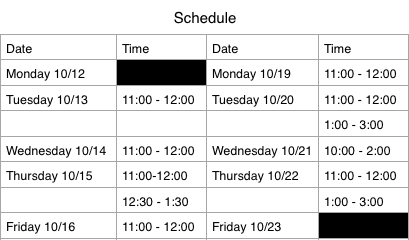 EDIT: Office Hours have changed for Monday 10/19. Hours will now be from 11:00 a.m. until 1:00 p.m. This blog post was written by PRowl Secretary, Shaun Luberski. You can connect with her on LinkedIn here and follow her on Twitter here. Previous Post Do you love a brand or the brand’s story?